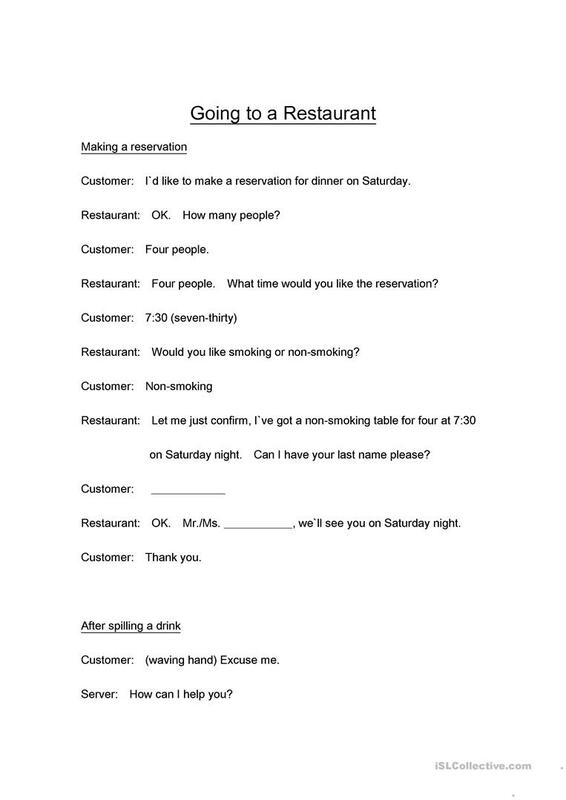 This worksheet has practice dialogues and vocabulary review for beginner adult students. 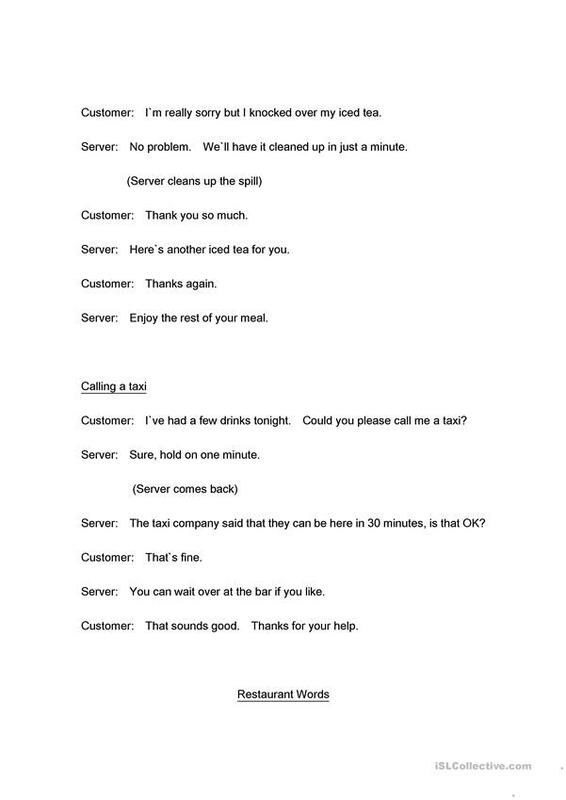 There are three scenarios involving restaurants: making a reservation, after spilling a drink, and calling a taxi. 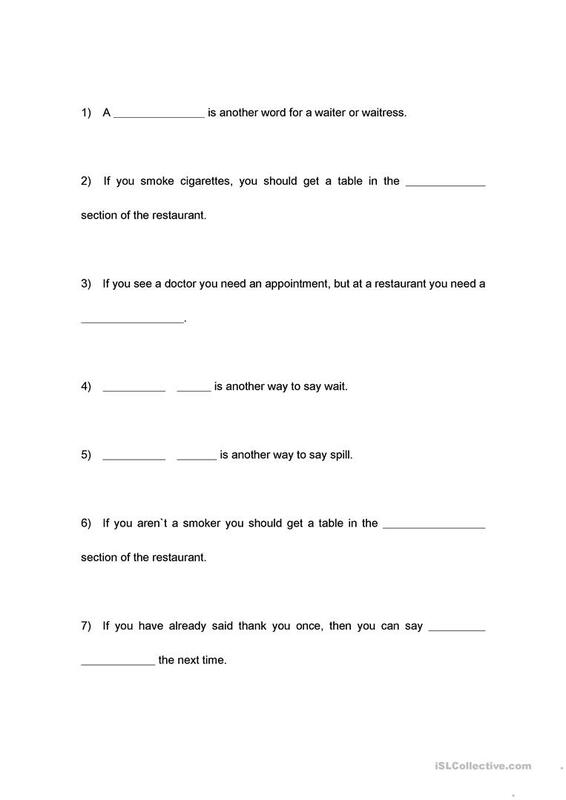 This printable, downloadable handout was created for adults at Beginner (pre-A1) and Elementary (A1) level. It was designed for developing your groups' Speaking, Reading and Writing skills. It is focused on the theme of Going to a restaurant. The answer key is provided, too.